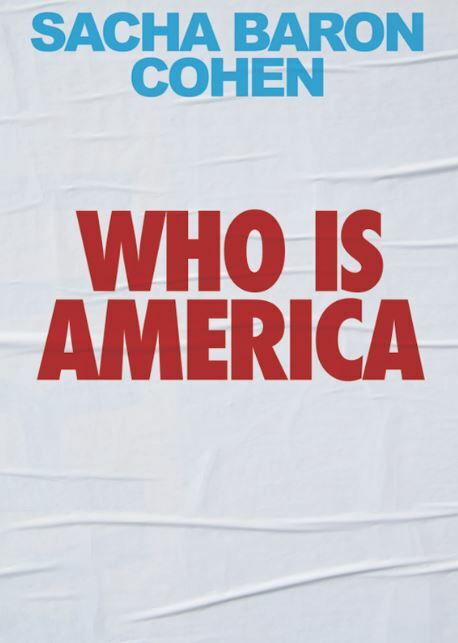 Enter the new The Reel Roundup Contest to get a chance to win ‘Who is America?’ on DVD. Entry to this contest is open only to legal residents of Canada who are at least 18 years of age. Via Twitter: Follow The Reel Roundup’s Twitter page and retweet the contest post. Via Facebook: Like and Follow The Reel Roundup’s Facebook page and leave a comment on the contest post with your answer to the following question: Sacha Baron Cohen not only stars Who is America, he also created it. What other TV show is he best known for creating? Via email: Send an email to thereelroundup@gmail.com using the subject line ‘Enter me to Who is America? on DVD’ and provide your full name, phone number and mailing address in the body of the mail. Competition closes on Friday, November 9, 2018 at 11:59 pm ET. Winner will be selected at random. There is one prize available to be won, consisting of the Sacha Baron Cohen's Who is America? Series on DVD. The Reel Roundup Contest begins on November 2, 2018 and closes on November 6, 2018. Winner will be notified by Twitter or Facebook DM or by email.